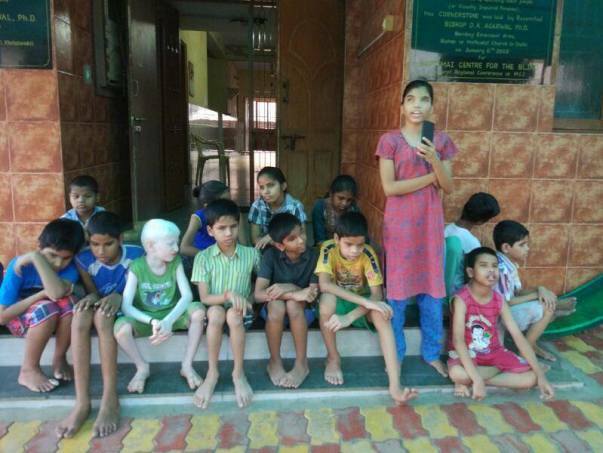 Bartimai Centre for the Blind is an NGO that supports the educational and basic needs of 20 blind children. It embraces poor blind children from preschool. It works for providing equal opportunities to these physically challenged kids in education, equal rights, and meaningful life. Unfortunately, all the work at the center is carried out by one person. Why do we need funds? To maintain the hygiene and a helping hand in washing the daily clothes of these kids, we require a washing machine. 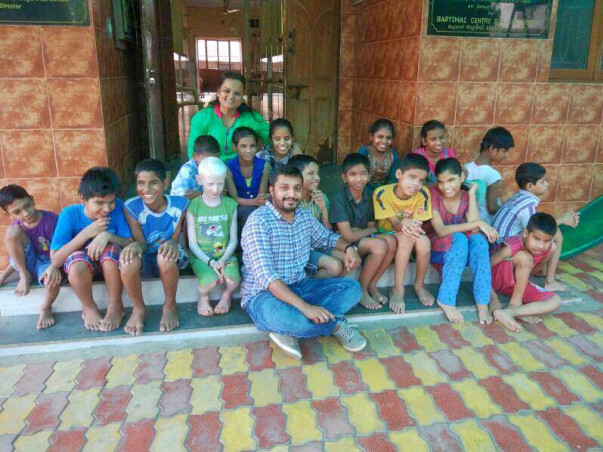 So, Jashwantbhai can focus on other aspects to uplift these differently abled kids. We get donations in form of school fee, food, and stationery but there are other needs that are equally significant. Your support in any form is one step forward in ensuring good hygiene for our kids! Dear well-wishers or God figures, on behalf of the organization,I would make a humble appeal to contribute to this noble cause of maintaining the hygiene of these little kids. Click on the 'Contact Organiser' button below to get in touch with me directly. Thank you all friends and well-wishers for your support. We have successfully completed our fund-raising campaign for purchasing the required washing machine for blind kids at Bartimai Center for Blind in just 04 days. Hence, we’ve stopped our campaign from now onwards and shall update everyone soon with photographs of the center, kids, and washing machine. We’ve raised in excess of our requirement of Rs. 30,000/-.We can’t express in words how we’re feeling. Thank you once again for your kindness, generosity, time and effort. Bartimai Centre for the Blind is an NGO that supports educational and basic needs of 20 blind children. It embraces poor blind children from preschool. It works for providing equal opportunities to these physically challenged kids in education, equal rights, and meaningful life. Unfortunately, all the work at the center is carried out by one person. To maintain the hygiene and helping hand in washing the daily clothes of these kids, we require a washing machine. So, Jashwantbhai can focus on other aspects to uplift these differently abled kids. We get donations in form of school fee, food, and stationery but there are other needs that equally significant. Dear well-wishers or God figures, on behalf of the organization I would make a humble appeal to contribute to this noble cause of maintaining the hygiene of these little kids.